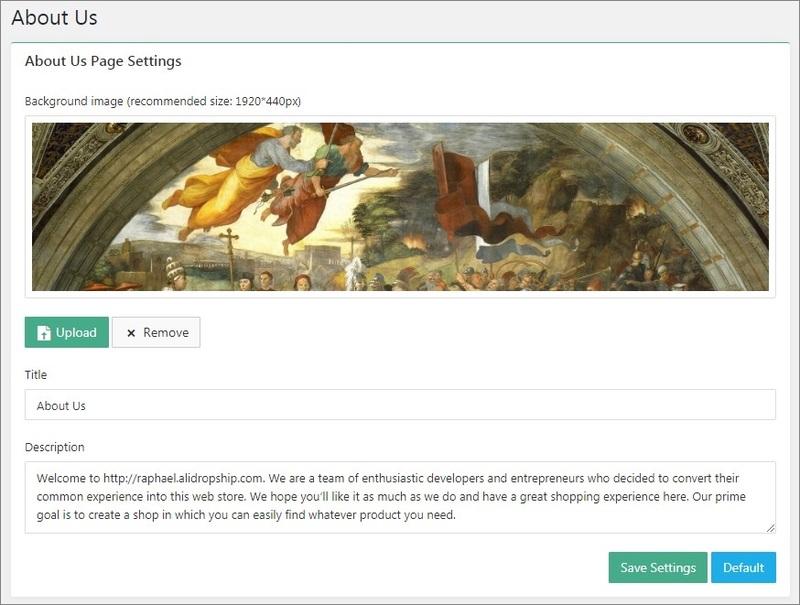 You can adjust your theme settings to your needs and modify your website appearance in the Customization area. In the General section you can edit some basic configuration settings such as adding default pages (use the Create button), uploading your favicon and enabling product discount badges. 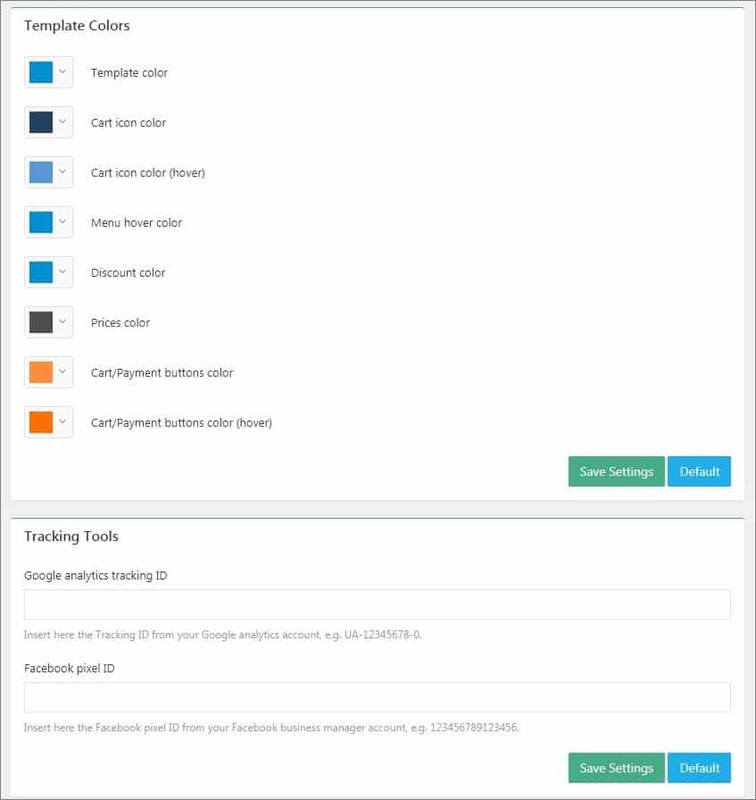 Customize your template colors and integrate Google Analytics ID and Facebook Pixel ID. You can add and edit scripts and styles in Head. To change your logo and shipping text, go to the Header tab. 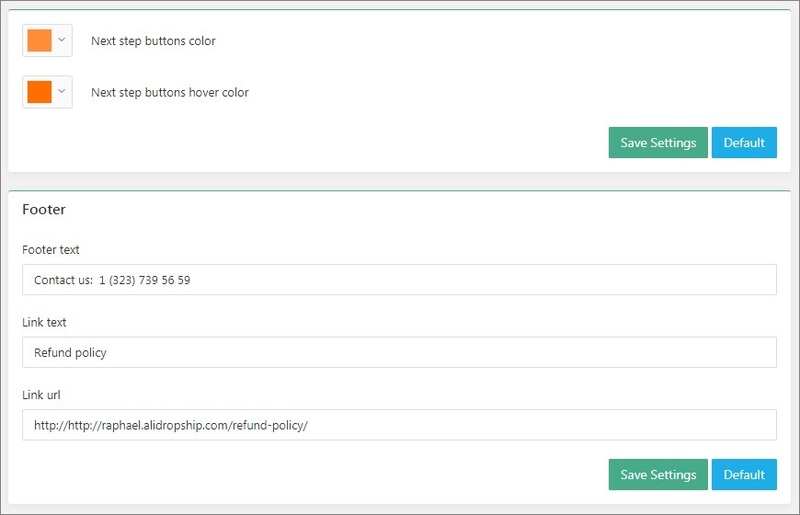 You can modify the way your homepage looks like: change button color (Shop now), paste your YouTube video ID, manage rotation, etc. To change a banner, click Upload, select files from your media or upload a new one from your computer. 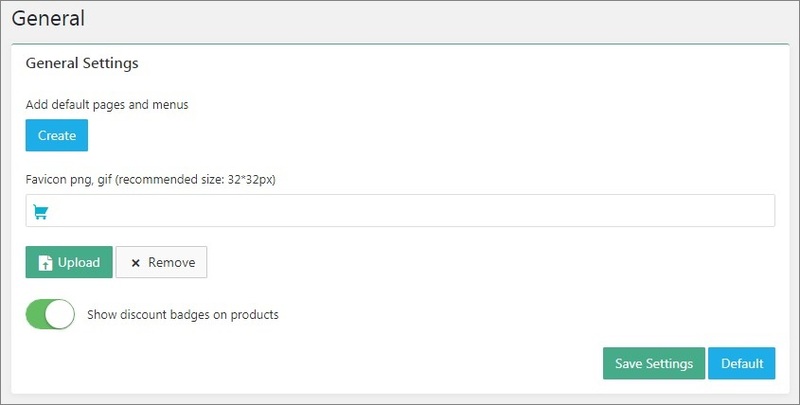 Edit banner and button text and add a link to a product category or a certain item. Use the Add button to add more banners to your slider. Upload your category image, give it a name and do the linking. 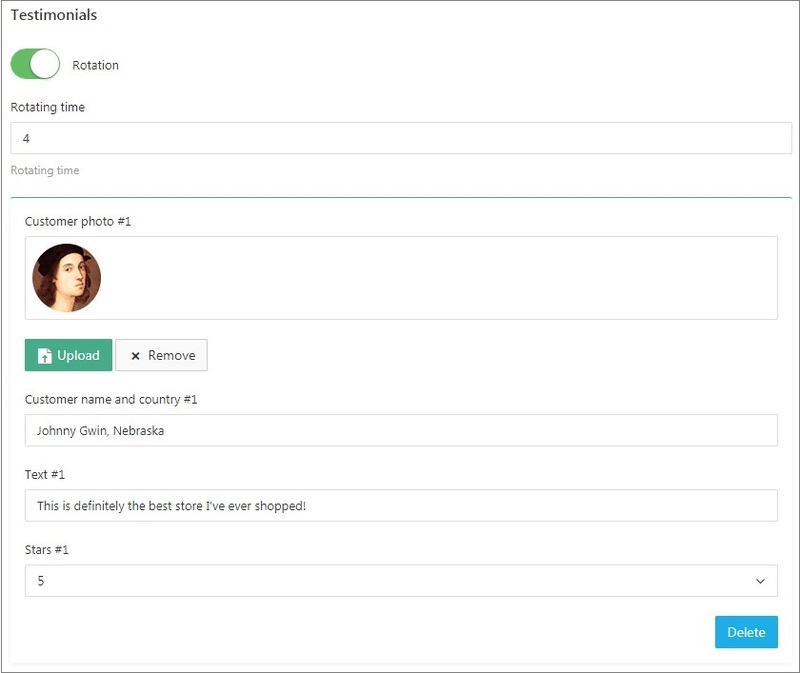 You can add your customer reviews in the Testimonials block. To enable rotation, use the toggle and add rotating time (in seconds). Make your latest two blog articles appear on Homepage by enabling the blog option. 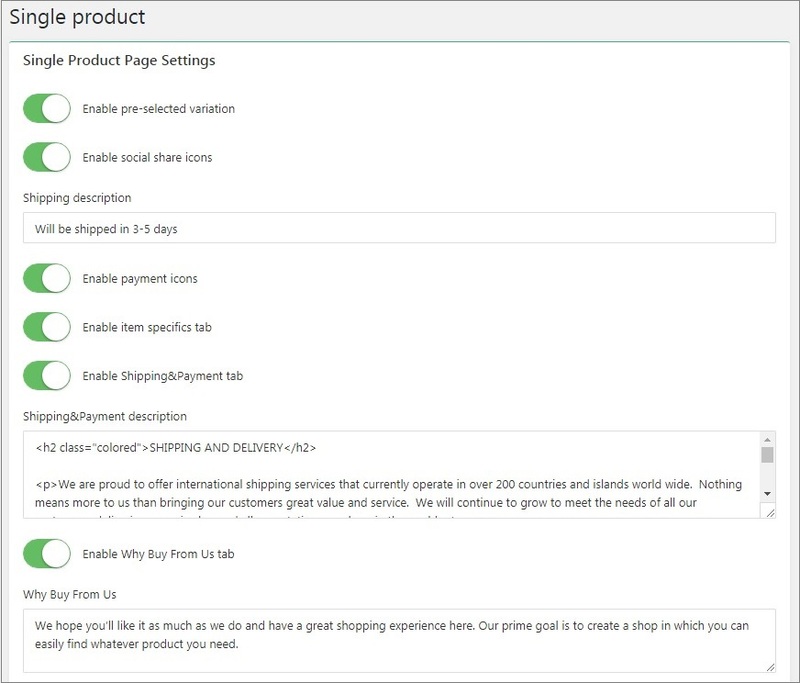 Manage your single product page settings in the Single product tab: enable pre-selected variations, manage product information tabs, make social share icons appear, and many more. Depending on your needs, edit text below the Proceed to checkout button in the side shopping cart. 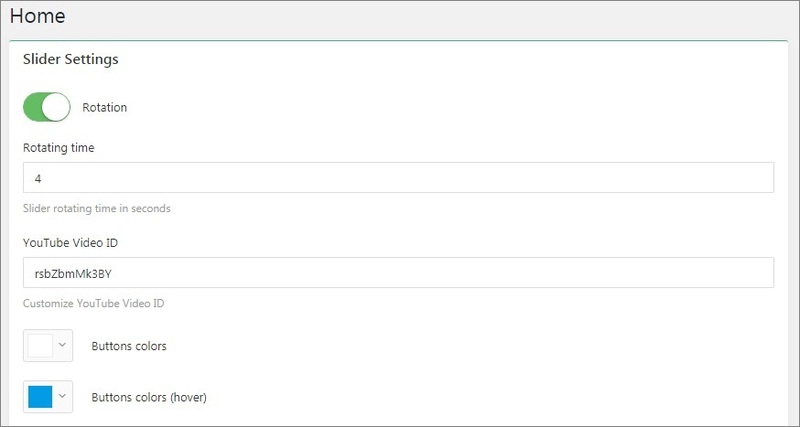 Manage the required Checkout fields by adjusting the toggles. 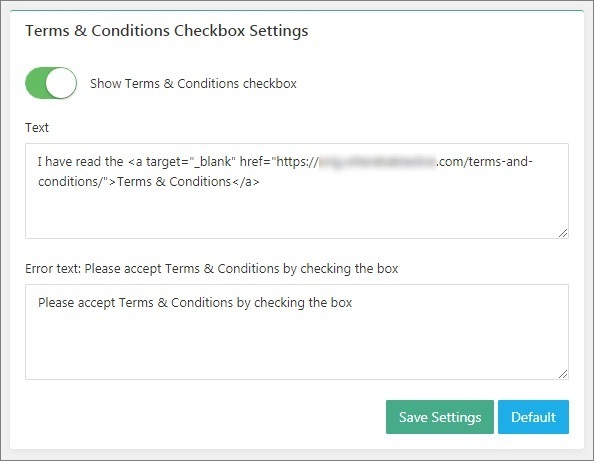 Show Terms & Conditions checkbox on the last Checkout step to make sure your clients accept your website policy. 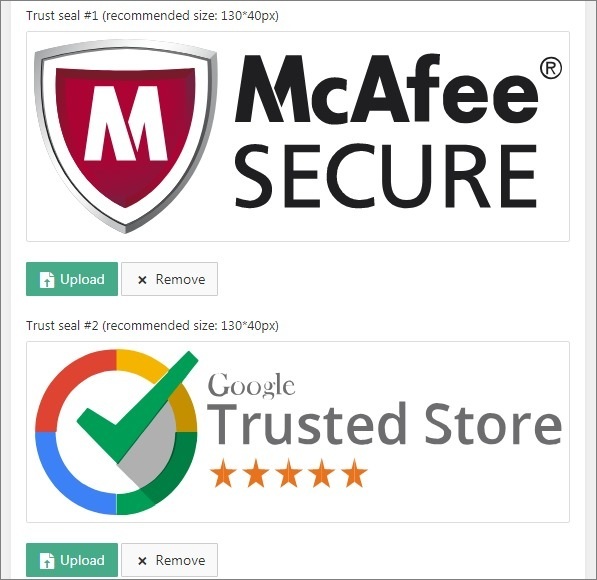 Use the defaut trust seals or upload your own to add credibility to your store. Pick colors for checkout buttons to meet your design objectives. Add your contact details and a link to a page that is important to your Checkout process. Tell your customers more about your business: edit the About Us text so that it tells your company’s story and upload a background image. 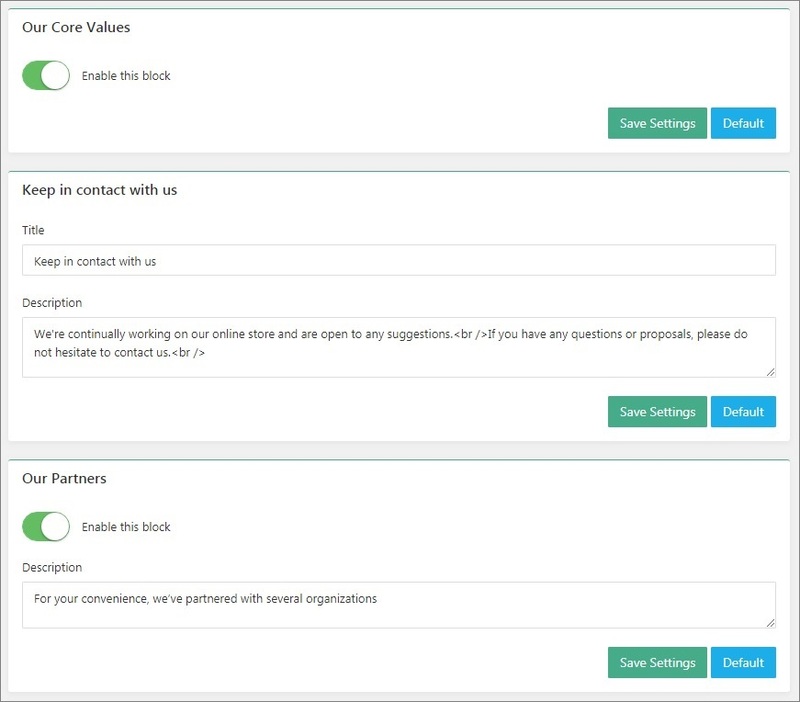 Enable or disable the Our Core Values block, encourage your customers to keep in touch with you and benefit from telling more about your business partners. Add a background image for your Thank you page. 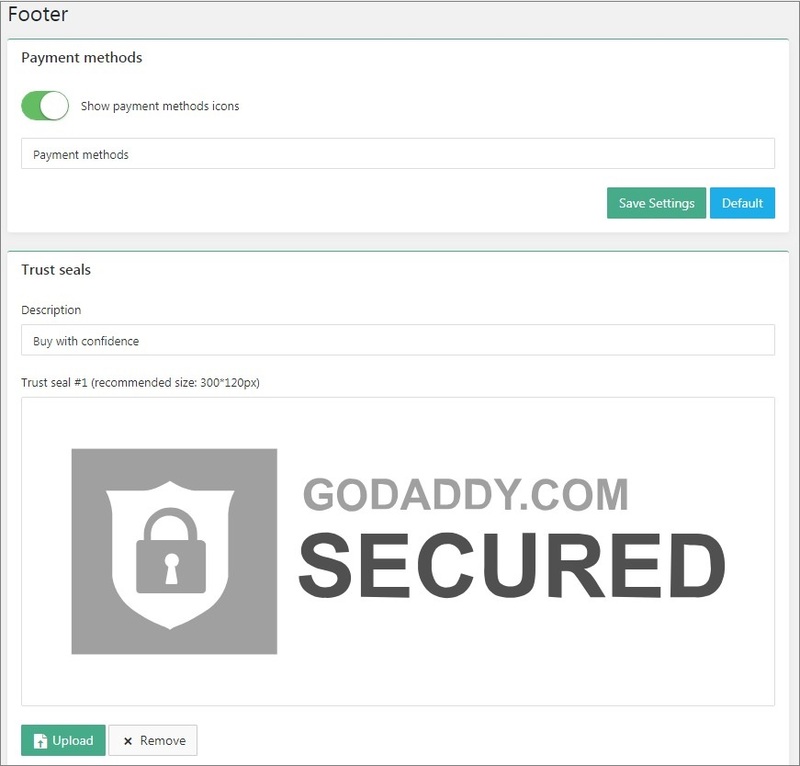 You can edit text which is shown to your client when a payment is complete or it failed and add conversion tracking scripts. Add your email address and edit text displayed on the Contact Us page above your contact details. 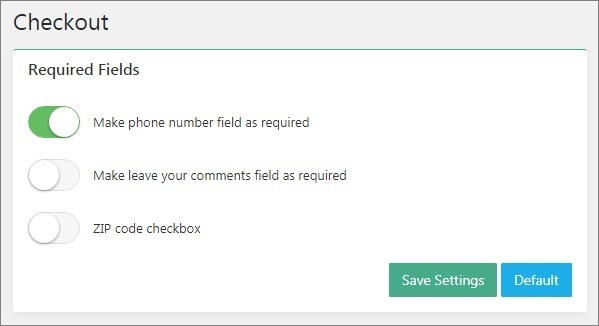 To add your social media links, go to Social Media and fill in the appropriate fields. Paste your subscription form code here to complete subscription setup. If you are interested to learn how to set up subscription form, see this link. 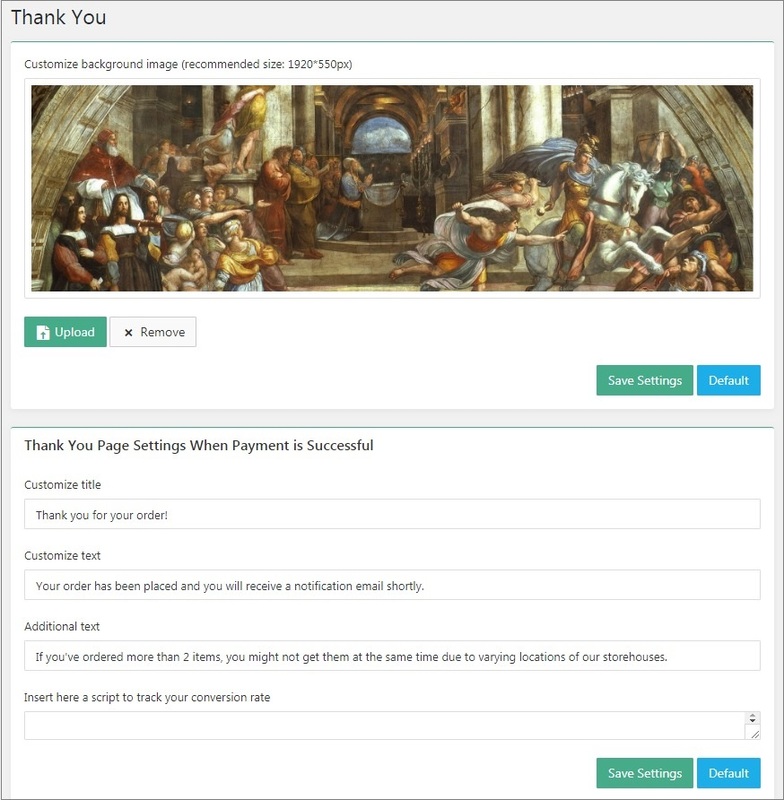 Manage payment block in Footer settings. 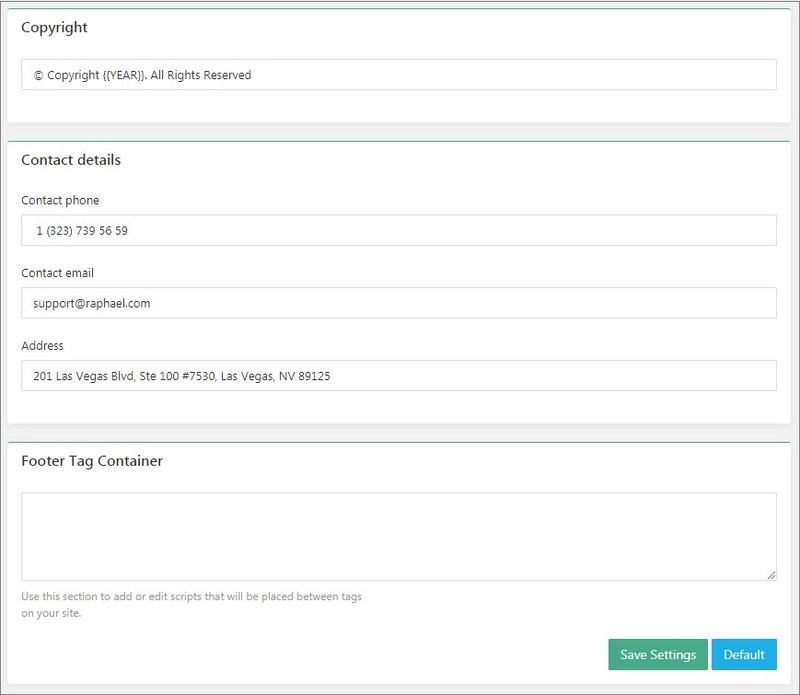 Add contact details and scripts.